BRYAN EATON/Staff photo. 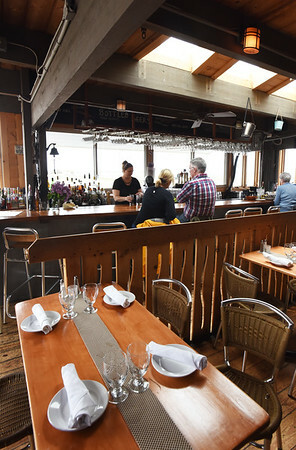 Amy D'Amato tends bar at the Plum Island Grill's enclosed deck with views of the Great Marsh. Skylights and plenty of window gives of the all-season deck gives the feeling of being unenclosed.